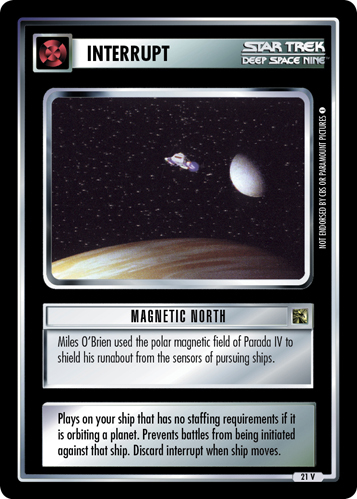 Miles O'Brien used the polar magnetic field of Parada IV to shield his runabout from the sensors of pursuing ships. 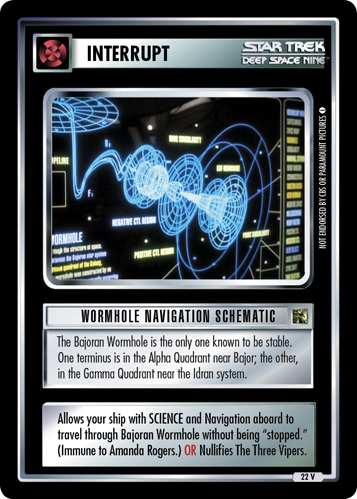 Plays on your ship that has no staffing requirements if it is orbiting a planet. 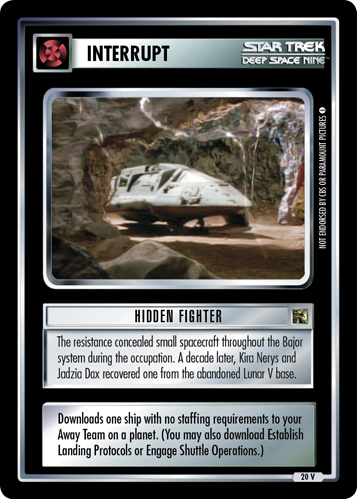 Prevents battles from being initiated against that ship. Discard interrupt when ship moves.